Nitzan is a partner in the firm’s corporate and M&A department. Nitzan’s practice is focused on domestic and cross-border M&A and private equity transactions, corporate finance, and investment transactions, usually representing foreign buyers and investors in acquisitions and doing business in Israel in a wide array of sectors, including industrial and manufacturing companies, financial services, telecommunications and entertainment, healthcare and technology. 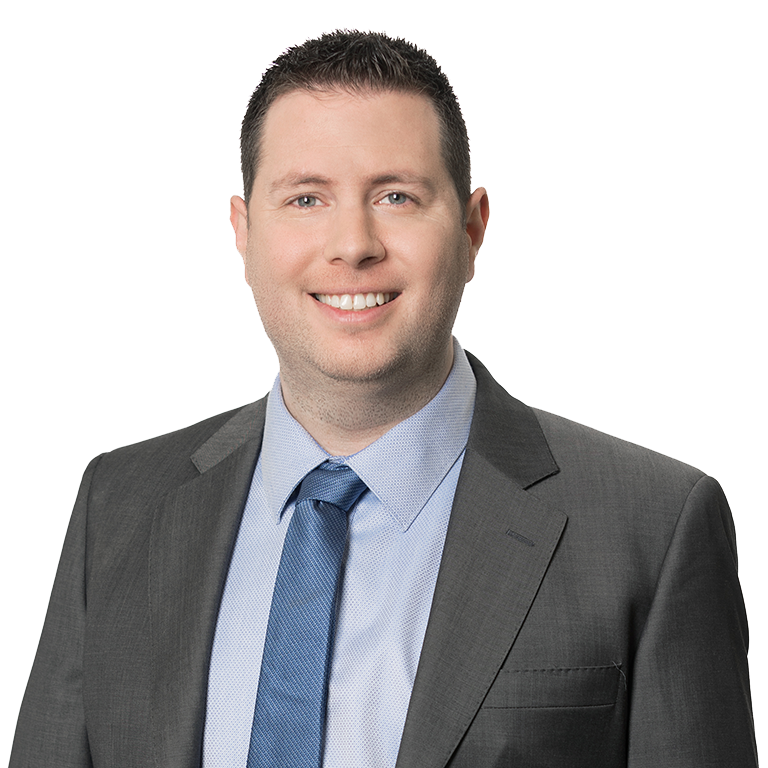 Nitzan further specializes in handling M&A transactions involving complex regulatory aspects, mainly relating to capital markets, financial services sector and telecommunications. 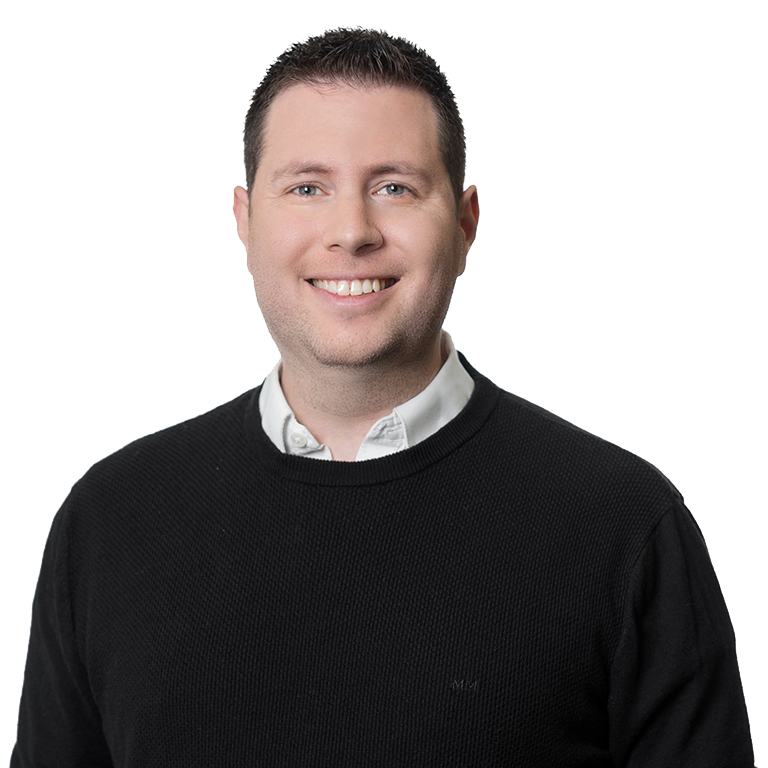 Nitzan was involved during the recent years in the representation of multi-billion leading funds and commercial companies as well as high profile local and foreign investors in the most high-profile, complex and innovative transactions valued at billions of dollars. 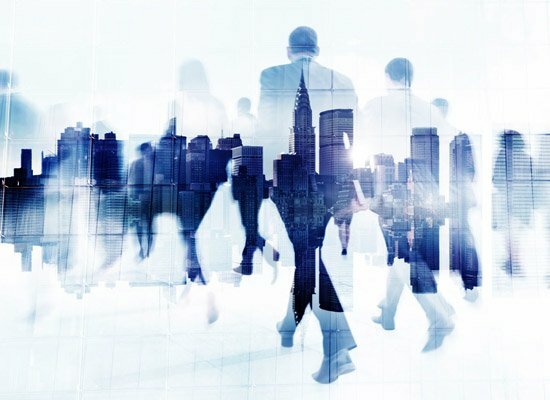 In addition, Nitzan provides ongoing counseling to private and public companies in Israel and abroad in various commercial, corporate and regulatory legal issues, throughout all phases of their operations. Nitzan also has specific expertise and is highly experienced in providing legal advice on all aspects of designing and implementing management, employees and service providers compensation plans, equity based incentive plans, performance based awards and other awards schemes, including in obtaining tax rulings from the Israel Tax Authority in connection therewith. Nitzan was rated as “Notable Practitioner” in the M&A practice areas in the IFLR 2017 ranking edition. 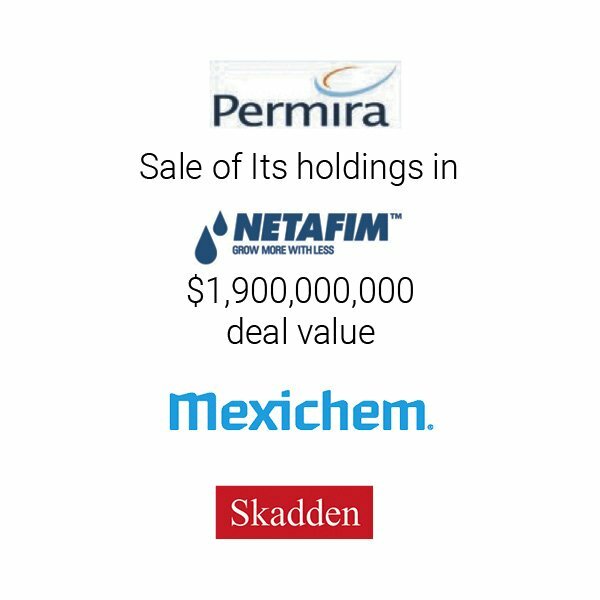 Representation of private equity fund, Permira, in the sale of all of its holdings (approximately 61%) in iconic drip irrigation pioneer Netafim to Mexichem, a Mexican public company for US $1.9 billion, in one of the largest and most complex transactions in the Israeli economy in 2017. 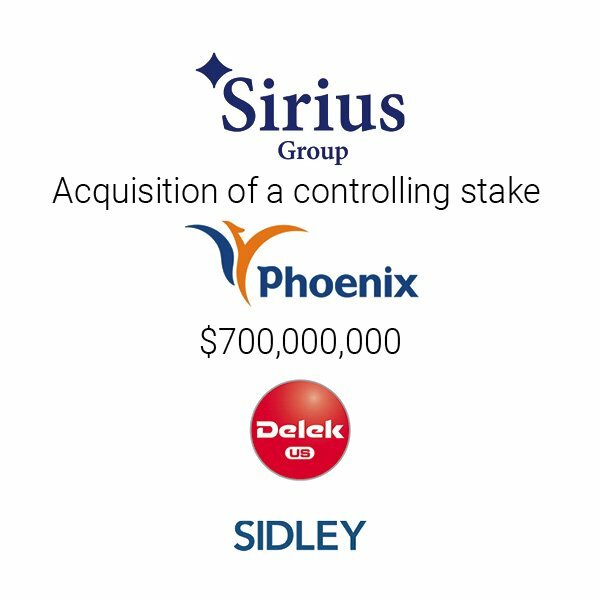 Representation of the insurance company Sirius, in regulatory process and applying for control permits in connection with the acquisition of shares of The Phoenix Holdings, from its controlling shareholder Delek Holdings, in a transaction valued at NIS 4.8 billion. Representation of Mizrahi Tefahot Bank, Israel’s third largest bank by assets, in a contemplated NIS 1.4 billion merger with Union Bank of Israel, Israel’s sixth largest bank, in a complex and highly regulated transaction which is also rare and almost unprecedented event in the local Israeli market. Representation of XIO Group, a global private equity firm, in its potential acquisition of Meitav Dash, a leading Israeli investment house, for NIS 1.5 Billion. Representation of Israel Oil and Gas Fund, owned by Mr. David Wiessman, in the acquisition of the Israeli gas station chain, Sonol Israel Ltd., from Azrieli Group Ltd. for NIS 364 million. 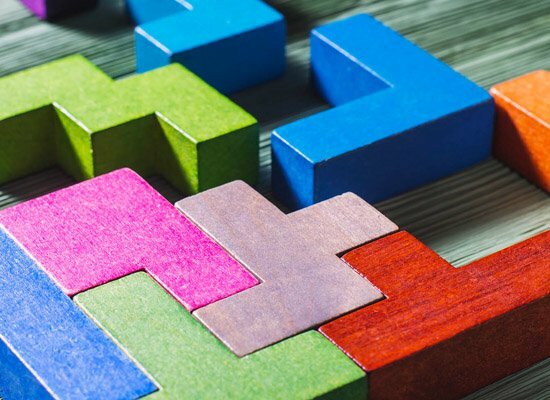 Representation of Saban Capital Group in the acquisition of a controlling stake of 33% in Partner Communications in consideration of US$400 million. Representation of Access Industries in a reverse triangular merger of a subsidiary of Access Industries with Clal Industries Ltd. in consideration of approximately US$350 million. Representation of EndoChoice, a US-based gastrointestinal endoscopy company, in a merger with Peer Medical Ltd., an Israeli endoscopic start-up, involving a substantial equity investment by Sequoia Capital, at a transaction valued at US$150 million. Representation of S1 Corporation, a NASDAQ corporation, in a potential stock-for-stock merger transaction with Fundtech Ltd., an Israeli company controlled by IDB Group (dual listed), valued at US$700 million. Representation of ProSiebenSat.1 Media AG (then indirectly controlled by KKR and Permira), the largest TV operator in Germany and one of Europe’s leading media companies,Acquisition of July August Communications and Productions Ltd., a leading Israeli production company, by based on a company valuation of € tens of million. Representation of Aspect Group in a restructuring transaction valued at US$ hundreds of millions. Sale of control (64%) in Merhav – Ceramic and Building Materials (TASE: Merhav) by Keter Plastic and Fimi Group to Neor Holdings in consideration of US$60 million. Acquisition of 50% of the share capital of Japanauto Holdings Ltd., the exclusive Israeli importer of Subaru vehicles, by the Zeevi Group for NIS120 million. 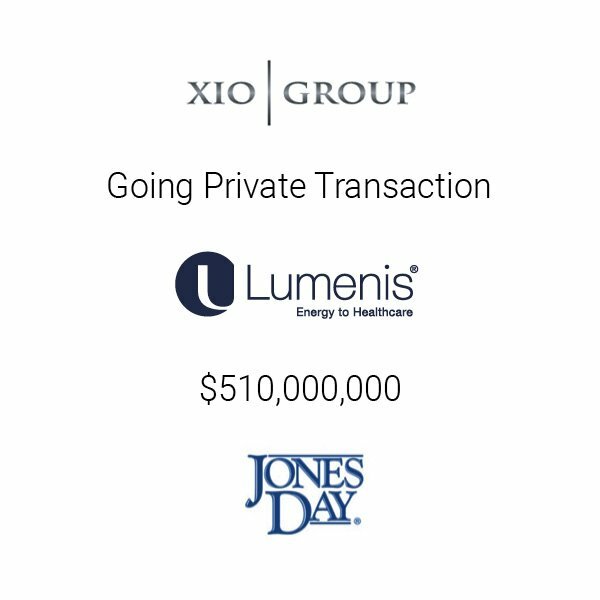 Representation of XIO Group in a financing transaction with Mizrahi Tefahot Bank, in connection with A US$514 million merger transaction with Lumenis Ltd. Representation of a global multi-billion dollar investment fund in a US$70 million financing transaction, in connection with the establishment of a Middle-Market Israel Fund. Representation of Golan Telecom, a cellular operator, in the Ministry of Communications (MOC) Tender 12/2010 for new mobile operator in Israel. Representation of T2T Communication Ltd., obtaining an MVNO license from the MOC. •	Prior to joining EBN, Nitzan was an M&A partner at the Zellermayer, Pelossof, Rosovsky, Tsafrir, Toledano & Co.
•	As a student Nitzan was a legal assistant in the Environmental Justice Clinic. •	During his studies Nitzan was a member of the Law, Society and Culture publication. 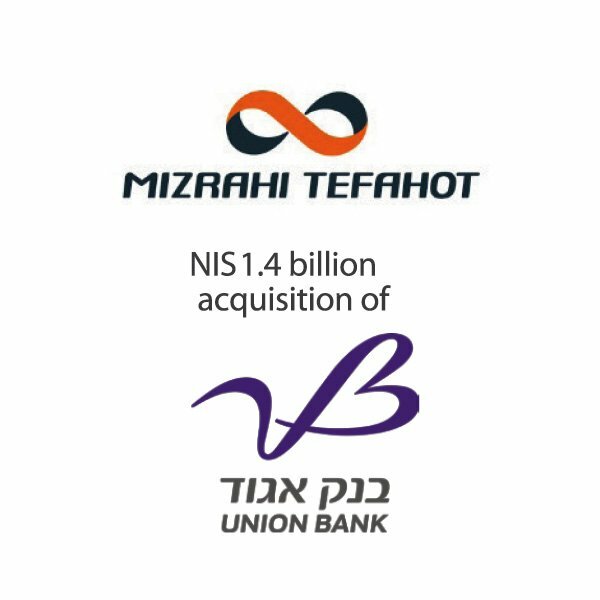 Representation of Mizrahi Tefahot Bank in the NIS1.4 billion contemplated merger of Union Bank of Israel, the country’s sixth largest bank, with and into Mizrahi Bank. Mizrahi is Israel’s third largest bank by assets, and offers a complete range of international, commercial, domestic and personal banking services. The acquisition of a banking institution by another bank is a rare and almost unprecedented event in the local Israeli market. Mizrahi is represented by partners Doni Toledano, Lior Oren, Nitzan Aberbach and Hagar Guri, and attorney Irina (Iris) Kushel. Israel Oil and Gas Fund, owned by David Wiessman, is acquiring the Israeli gas station chain, Sonol Israel Ltd., from Azrieli Group Ltd. for NIS 364 million. Israel Oil and Gas Fund was represented by Doni Toledano, Partner and Head of the firm’s M&A department, along with Partners Lior Oren and Nitzan Aberbach and Associates Eyal Wiesel, Anat Alper and Tal Maman.